International travel can be overwhelming to new travelers -- especially when regulations are in play. Scam artists are aware of this fact, and often target new international travelers and their passports before they leave home. With promises of validating passports or fast-tracking visa applications, scam artists are quick to separate travelers from their money through any number of passport scams. In some cases, these purported "expedite services" offers little value for travelers in the end, as travelers could do many of these tasks on their own. When determining what services travelers need prior to departure, be sure to be aware of these three passport scams and avoid them at all costs. Doing a quick Internet search for "passport application" will yield a number of services offering to expedite a passport application. Many of these services charge a fee to "help" travelers get their passport on the fast track to approval and issuance, purportedly helping people get their passports as quickly as possible. While these offers may sound tempting, their assistance is nothing more than a high priced passport scam, as the State Department offers these same services to travelers for a nominal fee. For travelers that need a passport fast, there are many ways to obtain travel documents - sometimes on the same day. For an additional $60, travelers can apply for expedited passport service from the Bureau of Consular Affairs, which delivers travel documents in as little as two weeks. 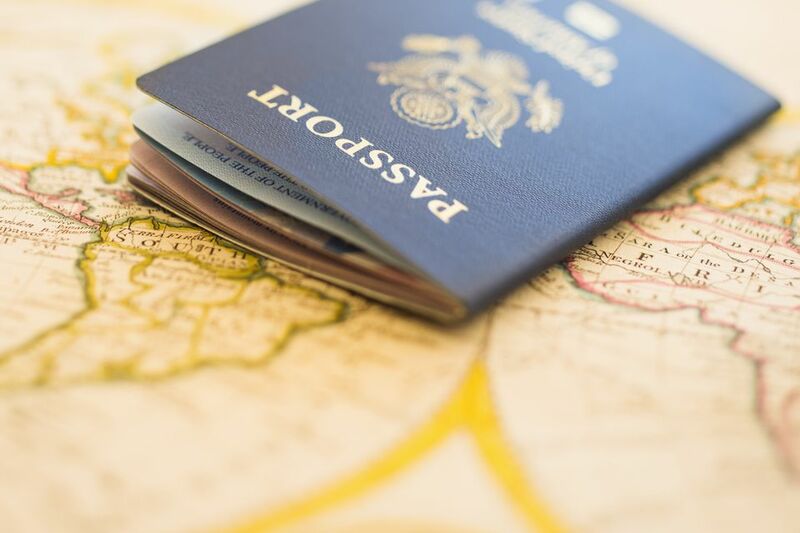 Those travelers who have international travel plans within two weeks and need a valid passport can and apply in person at one of 26 Passport Agencies across the United States and Puerto Rico. By applying in person and providing proof of travel, travelers can get their passport in as few as five days. While passport application services can make claims to getting your passport fast, the State Department makes it clear: expediting services do not fast-track passports any quicker than applying directly for your passport. Before you ask for help from a company, be sure to research all your options. When driving across borders, travelers are often greeted by billboards for "welcome centers" prior to entering a nation. Some of these locations offer passport validation services for a nominal fee. While some may promise travelers who have validated passports a faster route into their country, this promise simply isn't true. Unless a traveler is a member of a trusted traveler program like Global Entry, NEXUS, or SENTRI, there is no one fast-track method to go across the border. Instead, all travelers - regardless of whether or not their passport has been validated - have to cross borders in the same method, and get asked the same questions as every other traveler. Therefore, "passport validation" services are little more than a passport scam, where travelers pay money to be told their passport is valid. Before traveling to a new destination, make sure to understand the regulations required to enter into a country. While many countries around the world (including most of Western Europe) only require a passport with three months of validity, some require your passport to be valid for six months. Finally, be sure to have all the required visas in hand before entering a country. Otherwise, travelers could be denied access and sent home at their own expense. Prior to departure, some nations require travelers to hold a visa in hand before attempting to enter their target country. For those countries, some services offer travelers assistance in obtaining their required visas for a nominal fee. Who can travelers trust to help them get a visa? Every country has different visa requirements. While some nations only require a valid passport to enter the nation, other nations (like Brazil) require travelers to apply for a visa in advance. When making travel plans, be sure to check with the consulate of your destination country to determine if a visa is required prior to entering a country. Many embassies allow travelers to apply for a visa in their home country prior to departure. In other situations, a travel agent or airline can assist travelers in applying for a visa to enter a country. If a traveler decides they need assistance in applying for a complex visa, be sure to do homework about their selected partner. Some companies charge a high fee for expedited services, which turn out to be nothing more than an elaborate passport scam in the end. Travelers who need assistance obtaining a visa should work with their travel agent, or use a trusted and recommended visa application company. Many passport scams target first-time international travelers, with little to no recourse for getting their money back. With research and understanding of local customs, smart travelers can avoid these passport scams and have an enjoyable trip to your final destination.